Rounding offers healthcare organizations several benefits beyond cost savings and an increase in productivity. Here are 5 benefits our customers have experienced after implementing a rounding solution. Purposeful rounding has proven effective to increase the number of satisfied patients and to improve the patient experience. With a “pro-active, systematic, nurse-driven, evidence-based” approach, patients feel understood and that the hospital is really listening to and cares about them as a patient. By completing rounding consistently, caregivers emphasize the patient experience and drive patient satisfaction strategies. Adoption of the purposeful rounding process and the improvements that develop from this process will allow your healthcare organization to increase both employee and patient satisfaction as well as the overall organization HCAHPS scores. 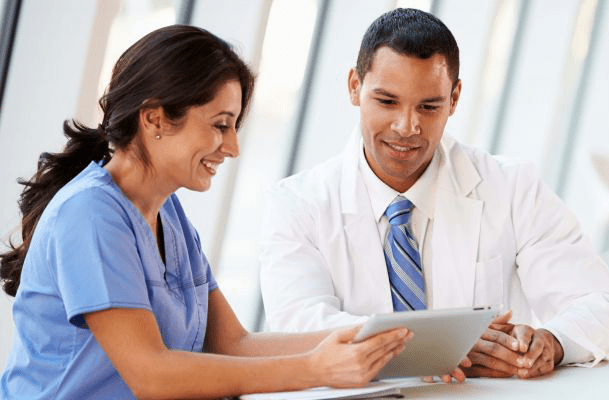 Did you know that rounding solutions help improve patient satisfaction scores by 12%? When healthcare organizations complete employee satisfaction rounds, leadership has a greater understanding of the concerns of the caregiver team and can take the appropriate corrective action in improving employee satisfaction. Executive Rounds help uncover areas such as areas for improvement, job skills/training needed on the floor, and concerns related to patient care. Rounds do not only address issues or deficiencies. They also promote communication and transparency within the team ensuring that all team members are on the same page. Regardless of the message, transparency reduces stress and negativity within your caregiver team. In fact, rounding is the single most effective tool to make employees feel appreciated and heard. Inevitability, deficiencies or issues are discovered during the rounding process. A robust rounding tool will allow an organization to not only correct the issues as they occur, but also helps an organization track data so that processes for continuous improvement can be created. Taking a proactive approach reduces the likelihood of experiencing adverse events. Reports can help identify the most deficient departments so that leaders can identify in-service opportunities or training opportunities. By putting these simple steps in place, your healthcare organization can round to determine focus areas for improvement which positively impacts safety, HCAHPS, and overall compliance.